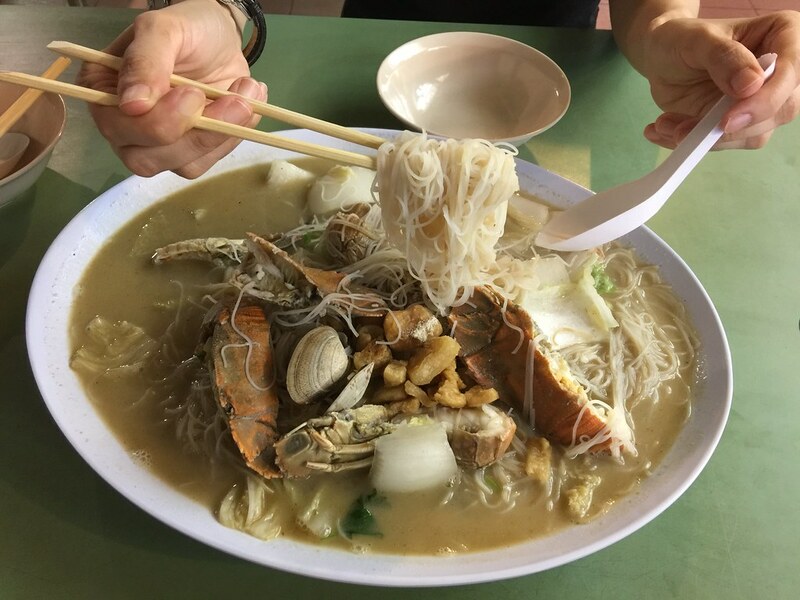 A popular trend in 2017 is the number of white beehoon stalls that have been sprang up across the island. 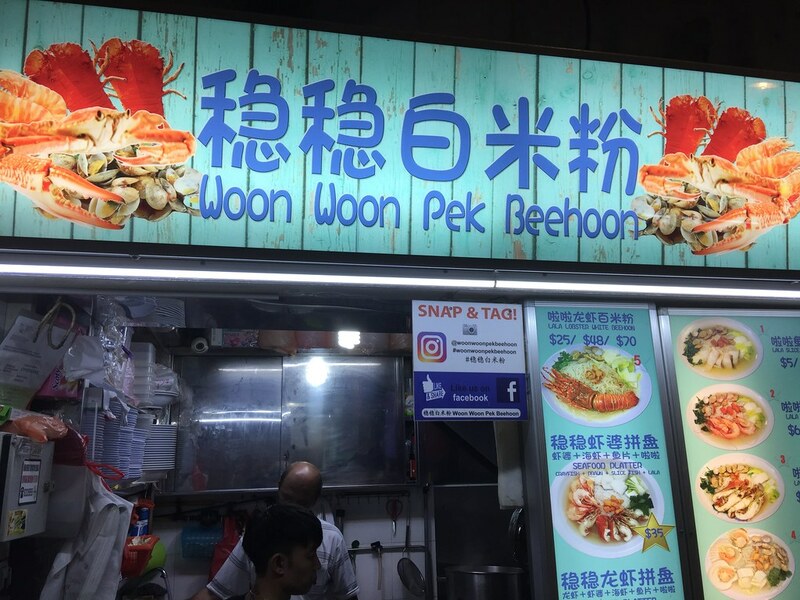 One of them is Woon Woon Pek Beehoon which started back in July 2016 at Changi Village Food Centre by Javien (34 years old) and Reece (36 years old) who quitted their corporate careers to move into food and beverage business. With the help of Reece's father who is a chef with 52 years of experience. 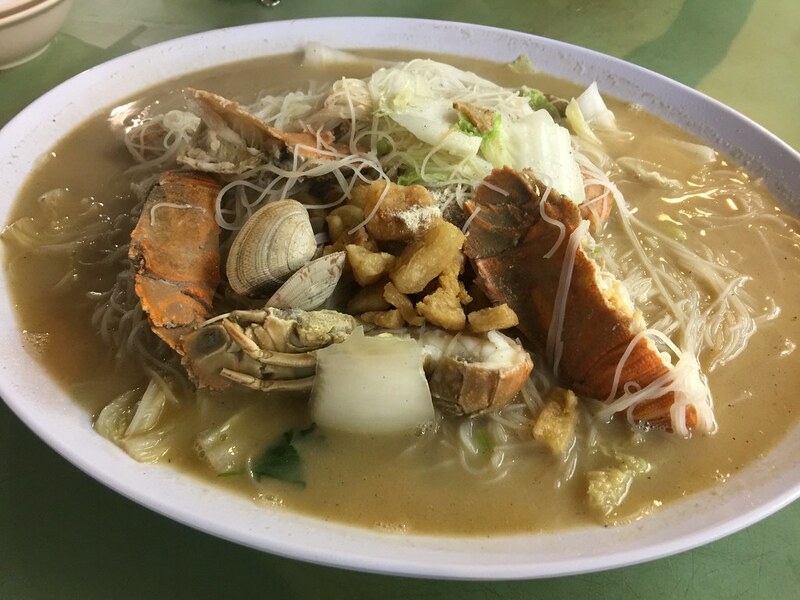 The stall offers a variety of seafood such as lobster, crayfish, prawn, lala, sliced fish and scallop to go with their rice vermicelli. 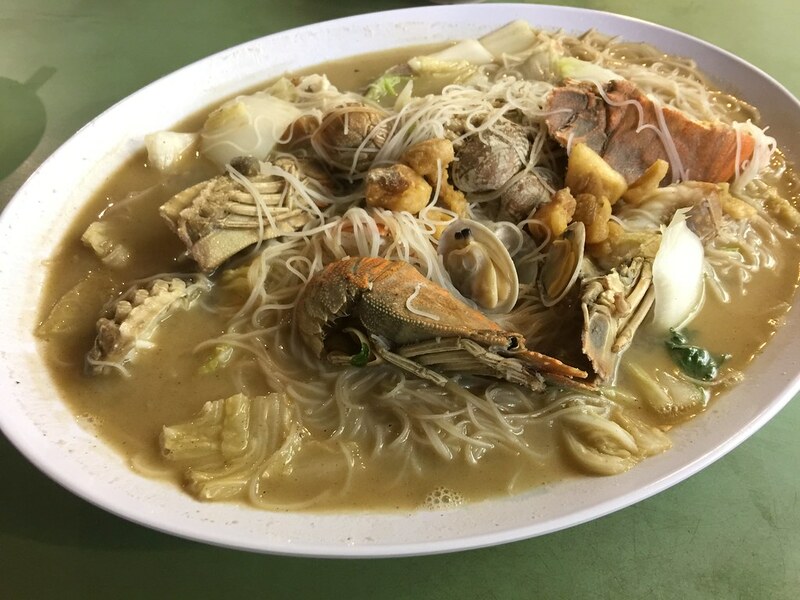 I decided to go for the Lala Crayfish White Beehoon ($10/$20/$30) which comes with the lala clams, crayfish, cabbage, pork lard and white beehoon. The portion is good for 2-3 persons. I have to say the plate of Lala Crayfish White Beehoon is actually quite well executed. 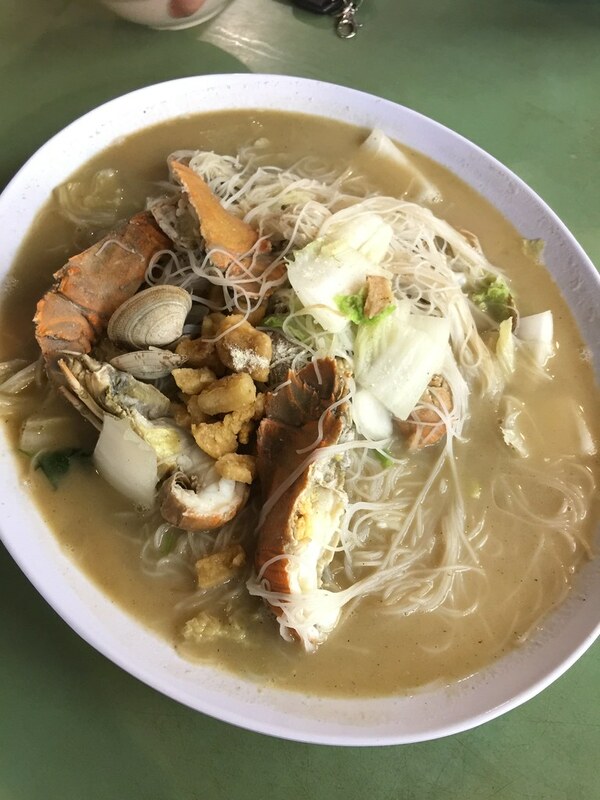 The beehoon probably has been wok fried first to achieve the wok hei flavour before being braised together with the seafood and chicken stock for the beehoon to absorb the flavours. Pork lard is further add to boost the already flavoursome plate of white beehoon.